As I promised you last week, I’m back with the second half of what I got up to in Goa. For this post, I decided to write about the 3 things I particularly enjoyed during my time there. In my opinion, each of these things are a must do if you’re ever in the area! Just a 45 minute drive away from our hotel on Majorda Beach, the Dudhsagar Falls were something I’ll never forget seeing. The trip there was simple to arrange, and we booked a taxi to take us from our hotel to Kulem, where we stopped off and paid for a 4×4 to take us up to the falls – which cost about 400-500 Rs each. Then, the 4×4 drove us up through the beautiful national park, before dropping us off a short walk away from the water. As soon as we stepped out of the car, I saw my first monkey. Even though they’re wild, they’re used to tourists, so they tend to hang around nearby, and are on constant look out to see if you have food. If I’m honest, the monkeys might have been my favourite part of the trip to the falls, as they were so funny to watch, and because I’d always wanted to see one up close. Then, after just a short walk further through the beautiful national park, we stood at the foot of the picturesque waterfall. The water was stunning, and I was left speechless by the sheer height of the fall. If you want, you can even jump into the water below and go for a swim…. just watch out for the fish if you decide to do so! Lastly, when you’ve finished enjoying your time by the water, all that’s left for you to do is walk back to your car and drive back into the town for your next adventure – whatever that may be. Our next adventure, was to the Sahakari Spice Farm in Ponda. The farm was only about 10 minutes away from the waterfalls so it was great for us to visit on the same day. If you decide to book through a tour company, you’ll be able to book the two trips together in one package. If you’re a food lover like me, I definitely have to recommend the farm’s spice tour. For just around 400 Rs each, I couldn’t fault the experience they offer. With a guide, we were shown around the farm’s plantation, and all of the different foods and spices they grow there. 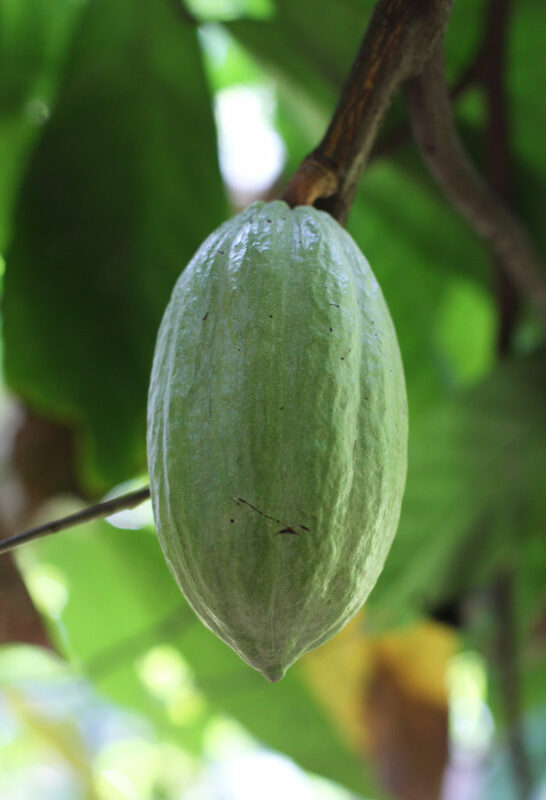 Above is a Cacao Pod, Banana plant and Piri Piri Chilli plant. As we were shown around the tour, we were able to smell and taste some of the different plants that were growing. One of my favourites was the cinnamon plant – our guide broke a piece of the plant’s stalk off for us to smell. It smelt incredible – and I held onto the piece of stalk for the rest of the day! (I really love cinnamon). It was so fascinating to see how some of the spices like cardamom, nutmeg and turmeric were grown, as I’d only ever seen them in their dried forms before. We were also told different facts about the plants, and some ways that they can be used as natural remedies at home – which I loved learning about. When the tour ended, we were also given a delicious lunch – which was included in the tour price. I then stopped by their shop and bought some of their vanilla pods to take back with me (they worked out about 1/3 of the usual price I pay), before heading back to the hotel. Their tour was fun, amazing value and very insightful. And, last but certainly not least, something you have to do while you’re in Goa is diamond shopping. If I’m honest with you, I have a slight addiction to jewellery. In fact, I could look at different jewellery designs all day – especially if they include diamonds. I barely went a day without going into one of the Goan jewellery shops and looking at all of the beautiful things they had for sale. Whether you’re just wanting to window shop, or actually looking to buy something, you definitely need to visit at least one diamond store. These are just 4 pieces of the many I photographed during my visit. The jewellery was much cheaper there, so if you’re looking at investing in a precious stone, then I suggest you do so in Goa. You’ll get much better value for your money, and there are thousands of designs to choose from – or you can even design your own. 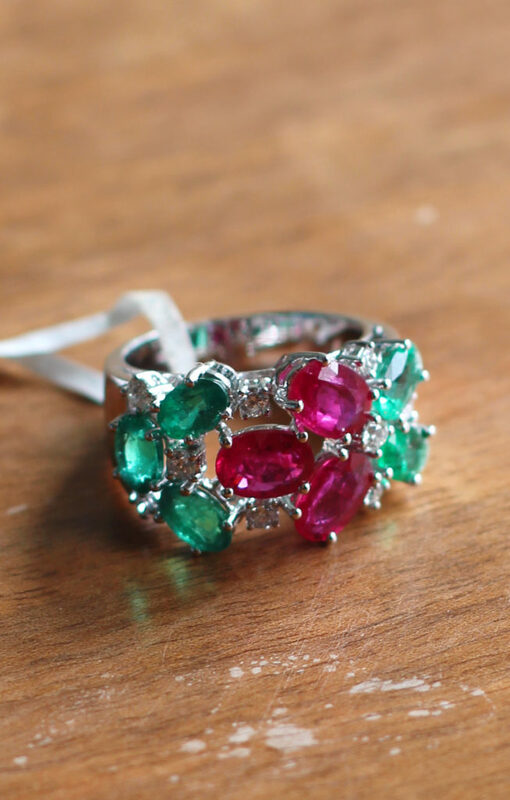 My mum bought a beautiful diamond ring, and I was kindly gifted some ruby earrings (which I’m yet to photograph – but I will be sharing them with you soon!). So if jewellery is your thing, then Goa is definitely the place to visit. You’ll find lots of diamond stores around. And as always, make sure to ask for certification before you buy anything. I loved so many things about my trip to Goa. The place was beautiful, the people were friendly and the weather was perfect. I can’t recommend visiting Goa enough, and if you do decide to take a vacation there – then definitely check out these 3 things! I so enjoyed this post Harriet! Dudhsagar Falls are majestic indeed! And this is my first time seeing a Piri Piri Chilli Plant! That monkey is just adorable – I didnt realize that Goa had as many wild monkeys as Sri Lanka does! Gorgeous photos and loved seeing Goa through your eyes! An incredibly beautiful place, Harriet. And that monkey is just adorable. It was lovely, thank you Angie! One of those places I wouldn’t be able to stop taking pictures of EVERYTHING! That’s exactly how I was! It was so hard to choose which pictures to include in my post! Oh my goodness, I am so in love with this post. Did you see those waterfalls? Well of course you’ve seen them, you took the photo lol. But this is gorgeous. And we won’t even discuss how much I love the rings :). oh my gosh! the monkey’s and the banana trees LOVE! it looks like so much fun! I bet you had a blast! 😉 hope you had a great holiday too! Argh, I want to do everything! How amazing are those monkeys just chilling for the photos?! And the jewellery is stunning… I can imagine there would be some incredible designs. OH, and a spice farm. I would so enjoy that. Goa sounds wonderful!!! They were so cool! Thank you so much! This looks incredible, I’d want to do all of those adventures! The spice farm sounds amazing and I don’t think I could leave without buying a piece of jewelry at those prices! It was so fun!!! Thank you! Oh wow, what a beautiful place, Harriet! I had actually never heard of Goa before you mentioning it, but you have definitely piqued my interest with your beautiful pictures and description of the place! I would’ve been so fascinated seeing wild monkeys that close and that waterfall sounds amazing! So happy you had such a wonderful holiday with your family! I’d love to stand close from a monkey as well ! How did it feel ? Looking forward for your next article. wow, it must have been tough to only choose three things! 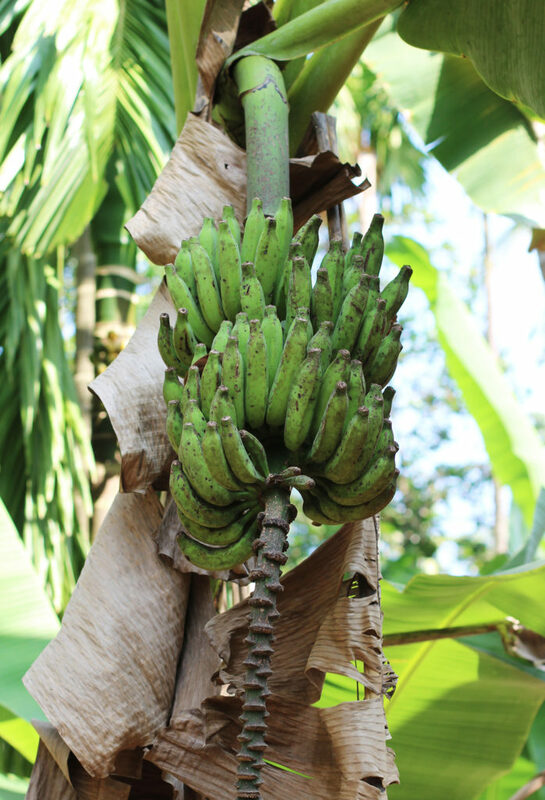 Goa seems so similar to Bali… bananas and monkeys everywhere haha. Ruby earrings sound beautiful, i can’t wait to see pics! It definitely was! I loved it there. I really want to go to Bali too! Thank you Beverley! Thank you so much Jess! It was an amazing holiday! Me too Farrah! It was so amazing! Thank you! We are actually thinking of going to Goa this year. Either there or Costa Rica – we want somewhere adventurous with lots of outside stuff to do. Thank you so much! I’d definitely recommend it Dannii, it was an amazing holiday! Hi Harriet! Dudhsagar Falls looks breath taking, I went to Niagara falls last year and I loved, it but it was a little overwhelming. “Falls” always remind me of how small we are in the world which is always a needed dose of reality. That spice farm looks like something out of a fairytale to me. In the states we don’t have anything like that, at least not that I know of. Of course that monkey is adorable, did you feed any, I hear they can get a little aggressive when foods involved. Thank you so much Mary! I felt the same when I was looking at this beautiful waterfall – it was so breathtaking!